My trip upstate this past weekend was about more than family, food, and feathers (though all three of those things figured heavily). 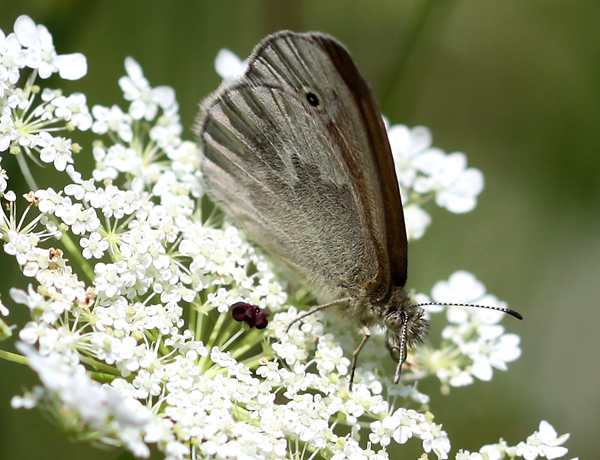 Somehow we also found time to look at a variety of cool insects, and, of the insects, we most appreciated the butterflies. 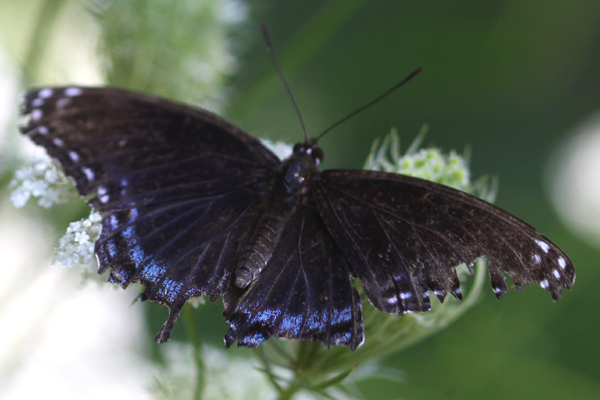 As regular readers here know, butterfly identification is not my forte, but as far as lepidopterists go, I am the foremost one in my family, so most of our butterfly appreciation was of the “Oh, that’s pretty” type. A few butterflies were cooperative enough to stay still long enough for me to misidentify, but, fortunately, I also snapped photos of any that would stay still long enough to let me. After painstaking hours with field guides I had managed to identify the butterflies below, and ran the ones I was unsure of past Patrick, who, of course, told me that my identifications were 100% correct. 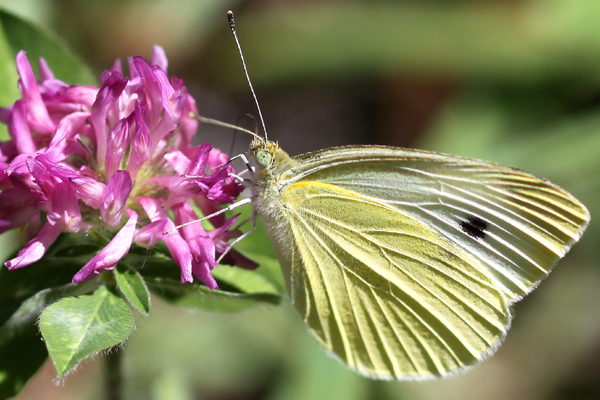 All joking aside, I am getting a bit better at figuring out what butterfly is fluttering by, and I hope to continue to get better at the difficult (to me) hobby of butterfly identification. Someday I’ll have them all figured out…and then I’ll start on moths! 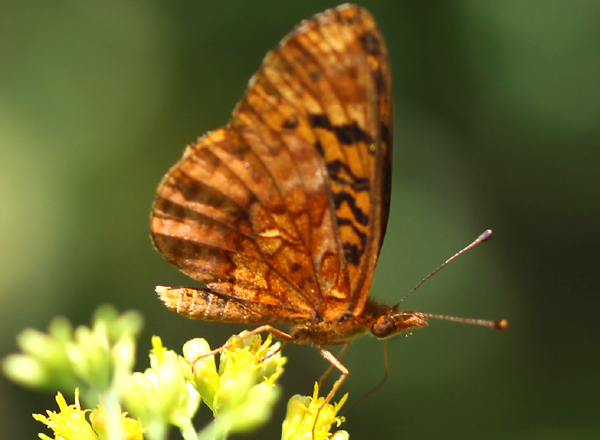 I have discovered that all Fritillaries (Boloria, Argynnis, Melitaea, etc – you might not have all of these in America but feel free to add whatever genus of Fritillary you want) ought to be united in one newly described butterfly genus, which I will either name Empidonax or Acrocephalus. 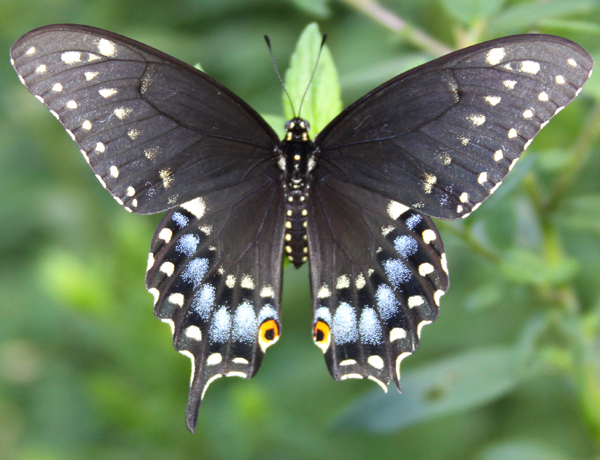 The Black Swallowtail looks amazing, like a Dark Knight version of our (European) Swallowtail. Nice shots of the butterflies! You have one species that I haven’t seen yet. Maybe we ought to do a blogger butterflying trip sometime. 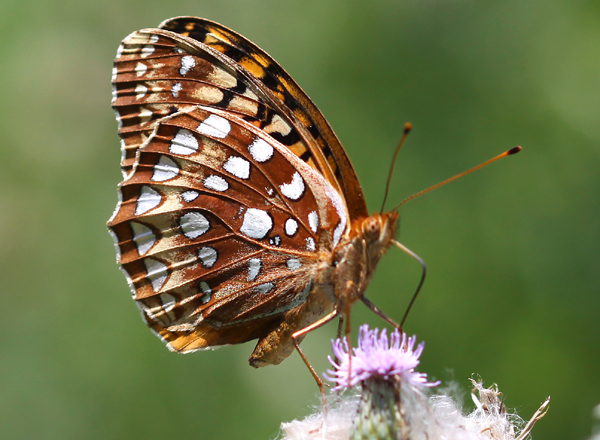 As for Jochen’s suggestion, a lot of the fritillaries here are in genus Speyeria, with another contingent in Boloria. But I don’t think the fritillaries are nearly as tough as the skippers, and even the blandest skipper is easier to identify than most moths. The moths are the true LBJs of order Lepidoptera. @John: not too many skippers here in Germany/central Europe, although I do agree they are tough. The Fritillaries are much more numerous. And as for moths, I am fully satisfied with having reached the “Oh, that’s pretty” level – no need to push my identification skills of moths any further than that. @John: Sounds good. And I find it great that your recent butterfly post also references getting help from Patrick. Yeah, Patrick told me where to look for butterflies and helped with an ID. I am saving all my skipper and moth photos for when I retire. Although I will probably be blind by then and will have to ask Patrick (or Steve W.) to identify them anyway. Meanwhile, why is no one talking about odenates? How can frits or moths compare to species that one must hold in the hand and examine private parts in order to give a correct id? Corey, have you checked out Esopus Bend Nature Preserve and the Nature Walks including watching birds, butterflies, dragonflies and checking out mushrooms, trees and animal tracking. More on the web-site esopuscreekconservancy.org. Your photos are exquisite! The photos of the butterflies are spectacular and inspiring. Could someone provide me a list of plants for a zone 4 and 5 area that would attract the winged wonders. Hi, great images. I am trying to identify this butterfly.